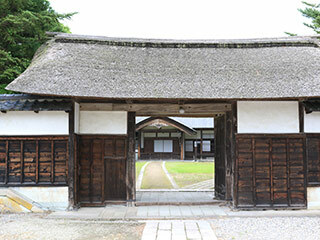 Traditional & Edo Style Houses that constructed over 100s years ago. Sasagawa House (旧笹川邸) is one of the largest farmers house located in Niigata. Sasagawa Family was very strong village mayor of this region. The main house was constructed in 1826. The entire size of this house is 618 square meters. That makes it one of the largest traditional houses remaining in Japan. There are over 35 rooms in this house. This house has the strong structure for heavy snow region, and beauty of simple architecture. Admission: 500 yen for adult, 300 yen for under Junior high. 1. use Local bus to Aoyama. 2. use Local bus to Sasagawateiiriguchi.